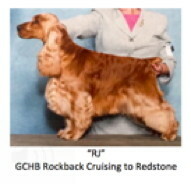 Welcome to the Rockback English Cocker Spaniel web site. We are located about one hour west of Philadelphia. 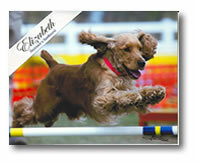 We have been devoted to showing and breeding these merry little dogs for over 20 years. Rockback English Cockers was established in 1988 by CathyAnn Litwin and Mark E. Litwin. It has been a perfect love affair since the beginning. We would like to share with you the history of our dogs through pictures, pedigrees and our personal notes about our wonderful dogs. 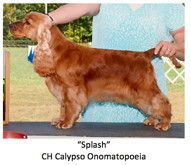 There are pages devoted to champions, performance dogs, and occassional puppies we have proudly presented through these years. We are especially pleased to present our Album page. This page is devoted to all the loving families that own one or more of our dogs. This page is for pure enjoyment. So get ready to sit back and smile. Our website has been designed to allow you to move freely around and enjoy all of our wonderful dogs. You will see that Rockback English Cockers has champions, performance dogs, and dogs just starting out. Occassionally we have puppies so please enjoy those pictures too. We are especially proud of our retirement page since they are the foundation of Rockback. Rockback English Cockers is committed to excellence in breed standard, which includes wonderful expression and fabulous temperament. Thank you for visiting our web site and please contact us if you have questions or comments about our dogs. CathyAnn and Mark personally respond to all inquiries.